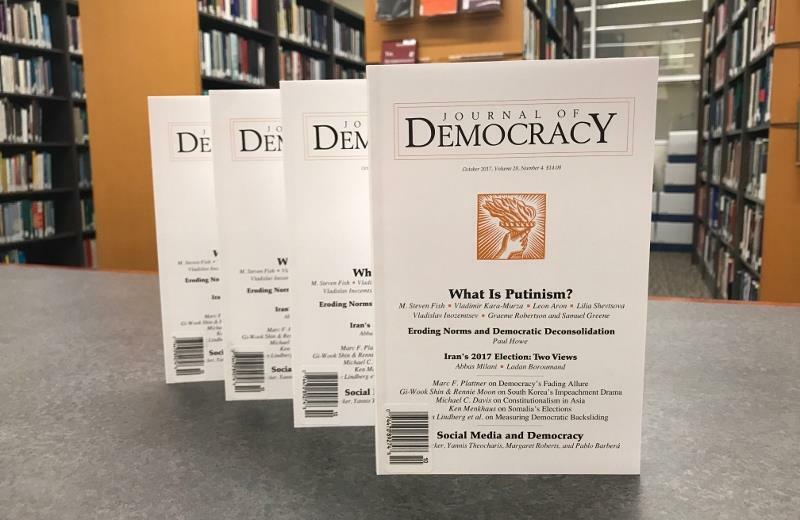 The Journal of Democracy is the world’s leading publication on the theory and practice of democracy. Since its first appearance in 1990, it has engaged both activists and intellectuals in critical discussions of the problems of and prospects for democracy around the world. Today, the Journal is at the center of debate on the major social, political, and cultural challenges that confront emerging and established democracies alike. The National Endowment for Democracy’s International Forum for Democratic Studies produces the Journal of Democracy, published by Johns Hopkins University Press, and has added a diverse and impressive array of democracy-related books based upon Journal articles and the papers presented at the Forum’s research conferences. Visit the Journal of Democracy’s Site.